Apple's Southlake Town Square outlet —located in the Dallas-Fort Worth area —will close for renovations on Sunday, March 4. In its Web announcement, the company didn't say what changes it's making or when the shop might reopen. Presumably though the company is updating to its most recent design aesthetic, which includes touches like wooden shelves and oversized video displays. When possible, Apple will often expand and renovate simultaneously. Many of its U.S. stores date back to the mid-2000s, and since then foot traffic —as well as product lines —have grown dramatically. The Southlake closure means that some DFW residents may be forced to drive long distances to get to an Apple store. Alternatives include Knox Street, NorthPark Center, University Park Village, and Willow Bend. 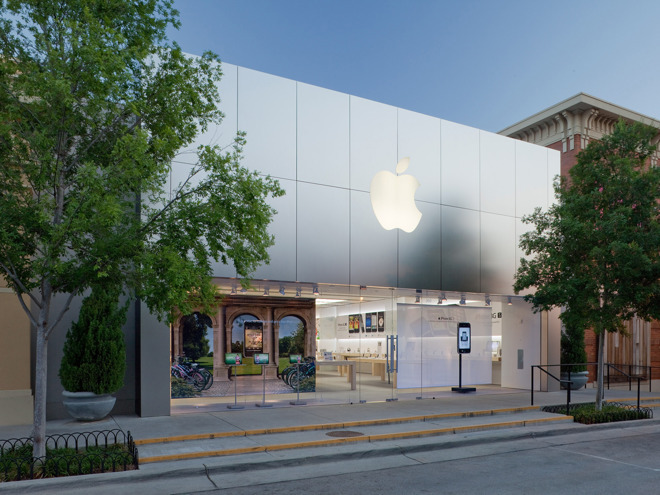 Just last month Apple announced renovation plans for two shops in Nashville, Tenn. and Lynnwood, Wash. Apple Green Hills will close on Feb. 11, followed by Apple Alderwood Mall on Feb. 25.